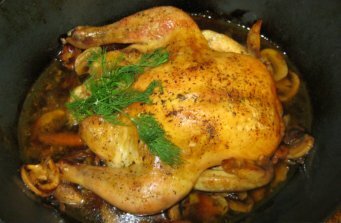 Baked Chicken Recipes for your oven! Who doesn't like Baked Chicken Recipes?! Because that's all you'll find here. Wonderful, Delicious, Mouth Watering ones at that! The aroma that fills your home when you have a fresh, tasty chicken in the oven can spark many happy memories of special occasions. It's healthy, as well, because baked chicken does not contain a lot of fat. And it's not really necessary to have a special occasion to prepare a baked chicken with, say, potatoes and salad of your choice. So make a choice - and get baking! Share Your Baked Chicken Recipe! Do you have a great story about your recipe too? I'd love to hear about it!! Enter The Name Of Your Recipe Here! In the mean time, remember this: Baked Chicken Recipes are perfect for any occasion.....or any oven! What am I doing making fake chorizo recipes? Read it and find out for yourself all about it! What does my Chef’s think about my kabobs? Click here and find out for yourself! What’s so special about chicken legs? I love simplicity and fresh homemade meals! Find out why my Chef is curious about this recipe! With a baking recipe like this, something special’s going on in your house! And your family and friends will know it too! Chicken Marinara is one of my favorite types of marinara recipes! So imagine my happy surprise when I received this recipe from my sister-in-law! 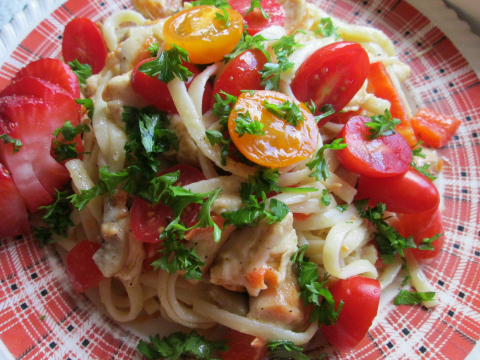 This pesto chicken recipe is always a great idea and just the thing for the entire family! Why? Who doesn't like a roasted chicken recipe? With peppers?? No one I know! Certainly not my (big) Chef! You want easy? With my chicken drumstick recipes, you need look no further! Why not?! There’s hundreds of ways to do chicken! Apples stuffed chicken breasts with sage is the perfect recipe to try out. A Chicken Drumstick Recipe!! For You? For Me? My Chef? Do you think this chicken drumstick recipe could be for you? I’ll bet you’re like me! This plentiful recipe is perfect for a large, summertime gathering. A recipe sure to generate a fervent response! 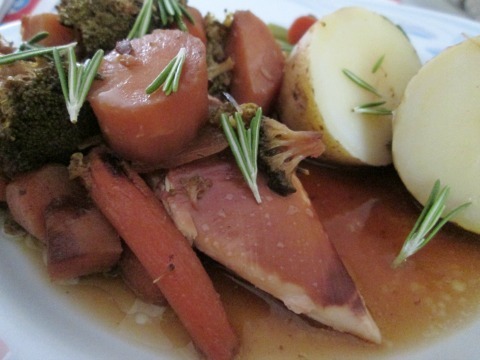 This baked chicken recipe is another delightful change from the ordinary - read more! This baked wings concoction will shock you! Find out why! This wonderful stew recipe is perfect for the family dinner - find out why. This fast and very easy pasta recipe is perfect for busy people. Aromatic and crispy chicken? No problem... when youre having this roaster!! Stuffed Chicken Recipes are a lovely idea to surprise your family with, especially if there's no special occasion!! I love delicious baked chicken recipes like this! I hope you will too. This stuffing recipe is absolutely perfect for large gatherings because it's so easy! This delectable dish will really please your family and friends. This divan recipe is perfect if you have leftover chicken. This recipe was a shock for me! Another recipe from my friend Philippe from France. This recipe is very easy. Even if you don't speak French, I promise! This breast recipe is considerately provided with beer! Enjoy with great pleasure!! This dish will put you and your guests in a very royal mood in more ways than one!! With this extravaganza your claim to world fame is just a recipe away! This recipe is for you and your family, from me and my chef! This chicken kiev recipe is very important. Find out why! An indescribable recipe with a surprise twist. A chicken pie recipe that not only lets you get creative, but is one everyone will love! This recipe is a polite change from the usual pot pie recipes. Have a look! Sure to be the best beer can chicken recipe, using chicken legs!